Donald Trump is NOT your typical Republican. Donald Trump plays to win. 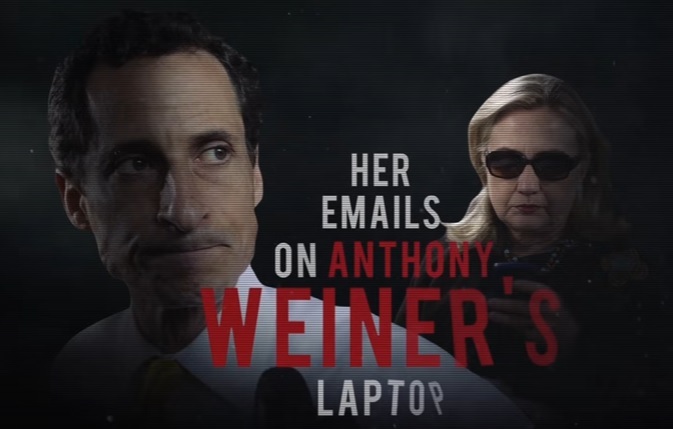 On Thursday the Trump Campaign released this HIllary-Pervert Weiner ad. The ad jumps on the news that the FBI is reviewing emails that it recently uncovered and seem to be relevant to its previous investigation into Clinton’s private server set up when she was secretary of state. Agents found emails belonging to Huma Abedin, Clinton’s longtime aide, that were found on the laptop of her now-estranged husband Weiner as they were investigating him in the wake of allegations that he sent lewd messages to a 15-year-old. “Decades of lies, cover-ups and scandal have finally caught up with Hillary Clinton,” the ad’s voice-over begins. “Hillary Clinton is under FBI investigation again after her emails were found on pervert Anthony Weiner’s laptop,” it continues, though the FBI has not said that it found any of Clinton’s own emails on the laptop, nor has it yet disclosed whether any of the emails are new. “Think about that. America’s most sensitive secrets, unlawfully sent, received and exposed by Hillary Clinton, her staff, and Anthony Weiner,” the ad continues.